Good morning everyone and welcome to this week's Raising Those Rascals post!... And what little rascals they've been! We're actually off to Center Parcs today and so we have spent the past few days chatting to Noah about it. I should have know that every other word from him for the next week would be swimming related! It is lovely to see him getting all excited though and I'm so looking forward to a bit of down time with the family too. I feel as though this week I have my happy baby back too! Jonah has been so much more content and smiley- honestly, it's been a sweet relief for everyone. There's nothing worse than seeing your baby in pain and now that the teething has calmed down a bit, I think we all feel a little less on edge. I can't lie, the better night's sleeps are definitely helping too! A bit of a challenge for the next few months is going to be encouraging Noah towards potty training! I think once we get back from our mini-break I'm going to really try to push ahead with it. The only problem is that he is so uninterested in the whole thing!- even with bribing him with prizes! Part of me thinks that he'll naturally let us know when he is ready for potty training, but at the moment he is so unfazed with continuing to wear nappies. I think part of the issue is that anything that takes him away from playing with his toys, against his will, is never met with enthusiasm on his part. So, choosing our moments for 'practice' have to be planned a bit carefully! As I said, I think we are going to try to introduce more of a 'routine' with our trips to the toilet when we're home again....Ahh, but I feel we are so far away from wearing pants! Any advice on that front mamas? Is it a bit of a 'boy thing' to not really be interested in toilet training? 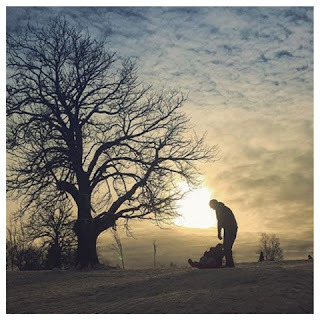 As always, I wanted to share some of your lovely images from the hashtag #RaisingThoseRascals over on Instagram. I always love scrolling through and seeing all the lovely moments captured and shared. 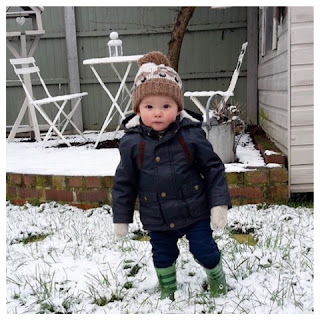 With the colder weather this week, it's been especially nice to see littles enjoying the snow and bracing the chilly temperature to find adventure. This view by @weescottishstudent is just stunning! I only wish we had enough snow to go sledging as a family, but what a beautiful atmosphere for it, just gorgeous! And speaking of gorgeous, how adorable is this little cherub all dressed to take on the snow!? AND he is a Noah too! :D Thanks @aimee.flower for sharing such a cute image of your little one! 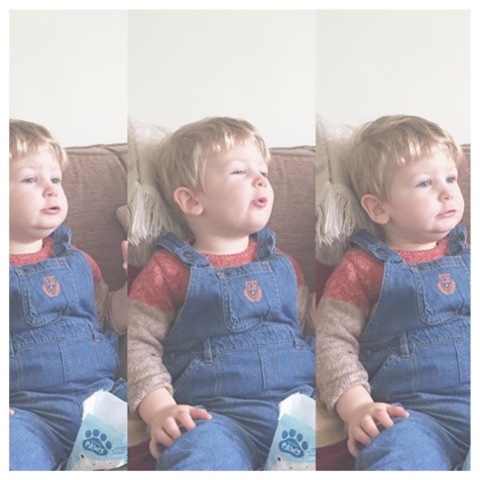 I love dungarees on toddlers but those facial expressions are just too brilliant! I actually giggled aloud when I saw them! 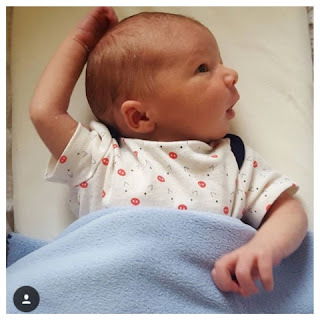 Finally, how adorable is this gorgeous wee babe, shared by @spanglishlondonwife! Ohh, how I love a newborn! My sister and sister-in-law are both expecting babies quite soon and as such, newborns are very much on our minds as we're all so excited for them! There's something so wonderful about gazing at babies, isn't there? Their innocence just melts your heart. Thanks so much for sharing @spanglishlondonwife, he sure is a beauty! Well loves, I hope this week brings you joy and content. Thank you ladies for continuing to use the hashtag #RaisingThoseRascals, it's so encouraging to share these moments and cheer each other on, especially in the more challenging aspects of parenting! Do keep them coming!